We do love a challenge! Submitted by admin on 24th Jul 2015, 23:11. One of the key components of the new e-Rocks is our name checker. Basically our software checks a mineral label/title and works out what minerals are present and sorts out any odd spellings or character differences. 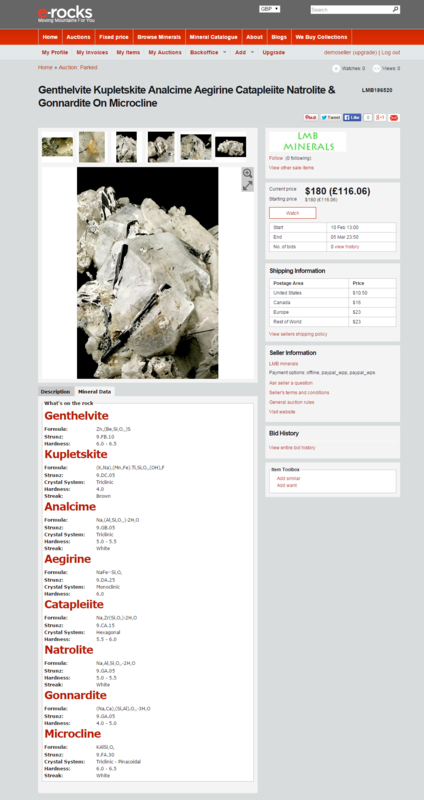 It does some other clever things like checks unknown minerals with Mindat, and we can create extended taxonomies for other terms that we need on our database. We know our software works pretty well as it is has matched and fixed over 200,000 mineral labels importing from the old e-Rocks to the new. ....a perfect score with 8 minerals in the title identified, logged and cross referenced. Also makes an interesting subject for label printing software!